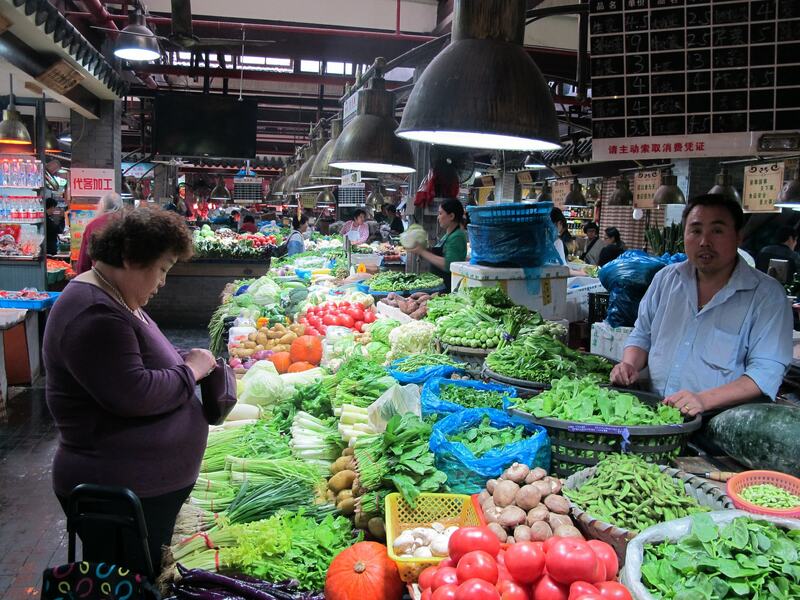 There’s no better way to experience the bounty that Shanghai has to offer (and get a taste of local city flavor) than by hanging out in one of the fresh markets around town. 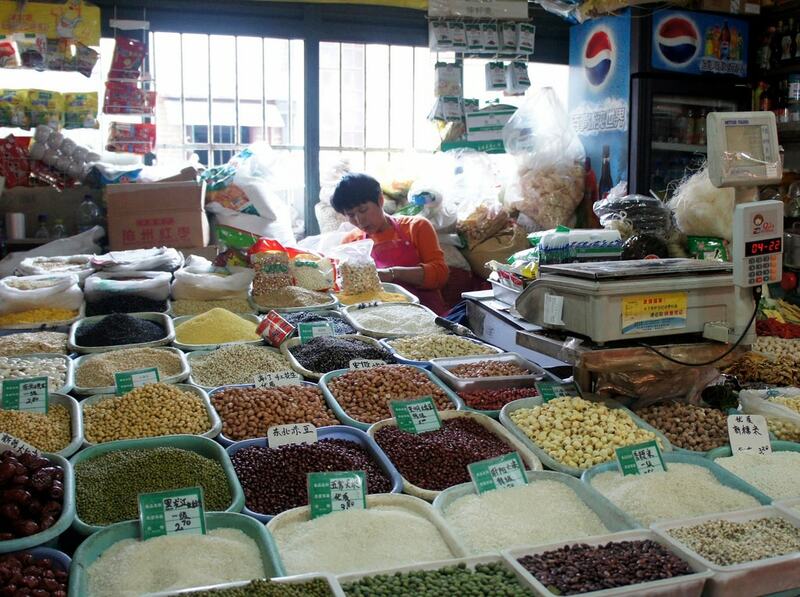 The street markets that were so prevalent in Shanghai a decade ago have now chiefly disappeared, as the government has worked hard to move them indoors and off the streets. However, even the traditional indoor wet markets are starting to be pushed farther and farther out of the city as real estate becomes pricey, and Western-style supermarkets begin to make inroads. However, there are still several bigger ones that pepper the city, along with some other cool food and plant markets that are worth a visit. This two-level emporium is one of the few large wet markets left in the city center; it seems to have maintained its traditional personality, and draws on an older, local clientele who tend to crowd in during the morning to get the best of the produce on offer. On the first floor, you’ll find vendors hawking slabs of pork, black chickens, eggs, and other meaty wares, along with the odd fruit vendor. On the second floor is a world of fresh vegetables. You’ll also find the tofu/bean sprout vendor, a man making fresh noodles, one woman selling only tomatoes, and more mushrooms than you can shake a stick at. In the early 2000s, finding things like peanut butter, fresh herbs, arugula, and other foreign ingredients for a reasonable price was incredibly difficult. In fact, it was nearly impossible not to pay $7 for a single, hard, plastic-wrapped avocado. Then, rumors of a Chinese lady from Anhui who was selling foreign fresh food for wholesale prices began to circulate – and, the Avocado Lady (so named for her well-priced and delicious avocado stash) was born. While today, foreign goods are much more available, you can still visit her shop for better priced goods, as well as food products – cookies, granola, and more – made by local entrepreneurs. From the outside, it looks like any other wet market shop. On the inside, it is a complete mash-up of East-meets-West. If you’re looking for big bundles of flowers, lots of greenery, some fake flowers and, of course, some birds, head out to the Caojiadu Flower and Bird Market. This is currently the city’s largest, with three floors chock full of not only blossoms, but also potted plants, interesting garden rocks, and loads of different kinds of turtles and fish. If anything catches your eye, be sure to bargain. The first price should never be the final one. Set at the corner of one of Shanghai’s busiest, most international and most hipster of areas, this small, old school market is like stepping into a slice of the past. The compact space is chock full of vendors who’ve been selling to the same neighbors for years. The space is loud and chaotic, with people yelling, poking vegetables and grabbing for the best. Of particular interest is the pickled vegetable vendor nestled right by the exit, where you’ll find all manner of brined, salted and wilted greens. 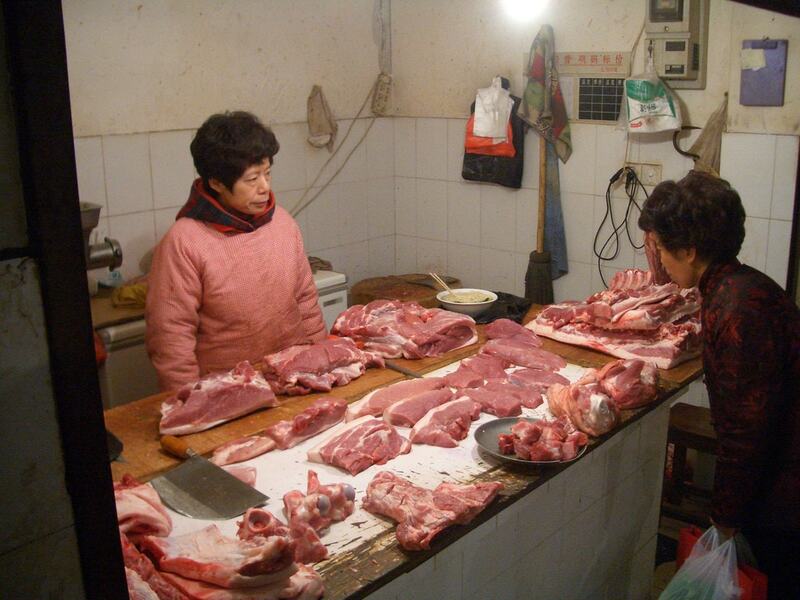 Jiashan Market is a Shanghai mainstay that really brings together the international community. Founded by a young jam entrepreneur in 2012, this is the meeting of small businesses and foodie enthusiasts who set up stalls to sell everything from organic vegetables to freshly roasted coffee, baked goods to duck confit. Jiashan Market is held on the first and third Saturday of every month in the courtyard of a renovated low-rise textile factory turned collection of cafés and restaurants, and the atmosphere is a festive one. Be ready to buy (and eat) more than you bargained for. The market opens at 11 a.m. and closes at 4 p.m. This is another little treasure set amongst the glittering Shanghai backdrop. 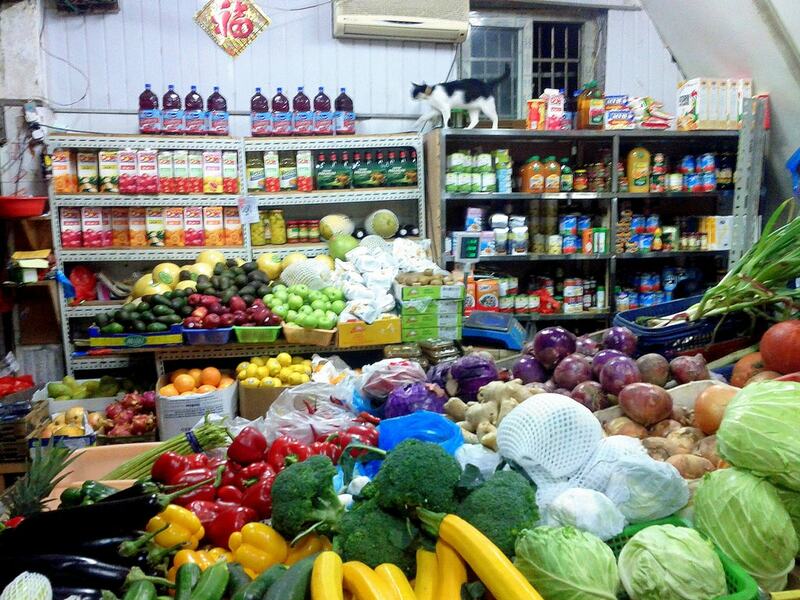 Here, you’ll find a great assortment of fresh vegetables and fruits, along with fresh steamed buns and plenty of pulses. Again, this is one of the markets that has stayed the same while hip restaurants and shops have sprung up around them. This certified organic farm is located within the city limits (near a metro station no less), but is like traveling to a new world. Every weekend, you can head out there for a day of getting close to the source of the vegetables on the plate. At 10am, guides take guests through the greenhouses and fields to check out the plants, meet the farm animals, and learn about sustainable farming. If the time is right, picking seasonal fresh vegetables is another part of the tour, making this the ultimate fresh market – right at the source. Price is RMB30 (US$4.50) per person, just make sure to email or call before arriving. For more information, visit their web page.